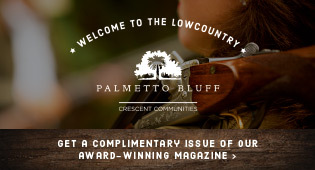 Hilton Head Magazines: CH2/CB2: Bachelors on Facebook? The volume of votes we have received for this year’s Bachelor contest has really been surprising to me. With two more days of voting left, five of our ten bachelors already have more votes than the past two winners of this contest. My favorite tech guy (Randy from Progressive Technology!) seems to think that voting has changed this year due to the popularity of Facebook. For those of you unaware of this online social network, I can somewhat compare it to everyone having their own personal website where one posts comments about their daily lives, photos of what they did last month, last week or last night, and find and keep in touch with people they haven’t seen for years. I think I am THE ONLY ONE in this office who has not joined Facebook. I think this is for two reasons…1) I don’t have time to blog on THIS website enough, let alone keep up with my personal and social life online. I would much rather SEE my friends in person than chat with them online…and 2) I’m not sold that my whole life should be an open book to anyone with access to the world wide web. Penguin? Penquin? Let me set the record straight. Java Joe's is Still Open..in a new location. Part of the "TEAM" is Leaving! Nashville. MOM. Country Music. Dave.